Jasper Carrott, OBE (born Robert Norman Davis; 14 March 1945) is an English comedian, actor and television presenter. Born in Shaftmoor Lane, Acocks Green, in Birmingham, Carrott was educated at Acocks Green primary school and Moseley School. He worked as a trainee buyer at a city centre department store, the Beehive, with schoolmate Bev Bevan. In February 1969 he started his own folk club, "The Boggery", in nearby Solihull with his friend Les Ward. Carrott performed folk songs and as an MC. His banter overtook the songs and he became more a comedian than singer. He also worked as a musical agent (with John Starkey, who was his manager from 1974 to 1992), as Fingimigig, managing among others Harvey Andrews. He toured UK rugby clubs. He recorded an album in 1973 called Jasper Carrot – In the Club, which he sold from his van. The album contained the original "Magic Roundabout", although mainly material used in his next three LPs (such as "Hare Krishna", "Car Insurance", "Bastity Chelt", and "Hava Nagila") plus the Fred Wedlock song "The Folker". He had a UK Top 5 chart hit in August 1975 with the novelty record "Funky Moped", written by Chris Rohmann and produced by Jeff Lynne. By the late 1970s, Carrott had developed anecdotal sketches which he still performs. Often they purport to be autobiographical; many celebrate the Birmingham accent and culture, including his support of Birmingham City. His live performances were recorded as Jasper Carrott Rabbitts on and on and on... and Carrott in Notts. Notable hits were "Bastity Chelt", a song in Spoonerism, "The Football Match" describing a visit to Old Trafford, "The Nutter on the Bus" (including the cry "Has anybody seen my camel? "), "The Mole" ("There's only one way to get rid of a mole – blow its bloody head off!") and "Zits" – an explanation of American slang for spots that brought the word into use in Britain. In 1979 he published A Little Zit on the Side, a humorous autobiography. The follow-up, Sweet and Sour Labrador, mixed sections of stand-up routines with similar autobiographical material, much of it related to his world travels. Carrott was once a compère for the Birmingham Heart Beat Charity Concert 1986, which featured local bands such as Electric Light Orchestra and the Moody Blues, with a finale that included George Harrison from the Beatles. On 15 September 2007 he was inducted into the Birmingham Walk of Stars at the Arts Fest 2007 celebrations. The award was presented by the Lord Mayor of Birmingham. Carrott is the second inductee, following Ozzy Osbourne. 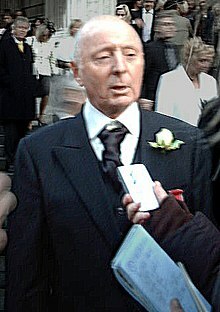 Carrott was awarded the Lifetime Achievement Award by the British Comedy Awards on 6 December 2008. His first appearance on television was a half-hour show for BBC Midlands on 11 August 1975, in a programme about local football called "The Golden Game". In 1976, he appeared in A Half Hour Mislaid with Jasper Carrott, recorded at Pebble Mill. His big break came two years later, when Michael Grade asked for a pilot programme for LWT. Grade liked it, and five further shows were recorded, which became his first TV series, An Audience with Jasper Carrott, in 1978. This partnership with LWT lasted until 1981; The Unrecorded Jasper Carrott (1979) and Beat the Carrott (1981) are the best-known live stand-up performances from his time with LWT. Carrott moved to the BBC for Carrott's Lib, a Saturday night comedy broadcast live, and then a string of BBC shows. The most notable were Carrott's Commercial Breakdown, which broadcast weird adverts from around the world, and the sketch and stand-up shows Carrott Confidential, 24 Carrott Gold, The Trial of Jasper Carrott and Canned Carrott, some of which also featured Steve Punt and Hugh Dennis. Carrott played Heinrich in the 1987 British comedy film Jane and the Lost City. Canned Carrott also featured a spoof police drama called The Detectives, co-starring Robert Powell, which later was made into a series. From 2002 to 2004, he starred in the sitcom All About Me. He performed in several of the Secret Policeman's Ball charity concerts for Amnesty International, and returned to the stage in 2004 at the National Indoor Arena in Birmingham featuring classic routines from his career. He returned to singing for the musical Go Play Up Your Own End (written by Malcolm Stent, songs by Harvey Andrews) in 2005. In 2005, he staged and appeared in the first Jasper Carrott's Rock With Laughter concert. This became a regular at the NEC in Birmingham, usually in December and sometimes alternating with his "Jasper Carrott's Christmas Crackers" events, but there have also been a few summer shows too. In summer 2007, Carrott hosted the Endemol-produced game show Golden Balls for ITV1. Promising ratings led to a second series in January 2008. A third series began in April 2008, and a fourth in October 2008. A fifth and six series were shown in 2009. He hosted the Sunday night national pub quiz, Cash Inn. He was 20th in Channel 4's 100 Greatest Stand-Up Comedians show. Since then his work is noted under 'Filmography' below. Carrott has written the humorous paperbacks A Little Zit on the Side (1979), and Sweet and Sour Labrador (1982). He also wrote a novel called Shop! or a Store is Born. Also of interest is a book by Carrott's former manager John Starkey, Jasper and Me (1993; Etsiketsi Books), which includes the line "He once said, 'Ringo isn't the best drummer in the world. He isn't even the best drummer in the Beatles.' " This quote was credited to John Lennon until Mark Lewisohn discovered, in 1983, that it was Mr Carrott who said it. Carrott was part-owner of the production company Celador, makers of Who Wants To Be A Millionaire? In 2006, he and wife Hazel sold their shares for £10m as part of a management buyout. Carrott is the father of actress Lucy Davis. He is a supporter, and was a director, of Birmingham City. He was awarded an OBE in 2002 "for charitable services". The University of Birmingham awarded him an honorary doctorate in 2004, following a similar award from Aston University in 1995. On 2 April 2018, Carrott had a heart bypass operation. ^ "Biography". Jasper Carrott: The Official Website. Archived from the original on 13 July 2011. Retrieved 15 November 2007. ^ "Go Play Up Your Own End". BBC. Retrieved 2 April 2016. ^ "About – Golden Balls TV Show". goldenballstvshow.com. Archived from the original on 4 November 2014. ^ "Lucy Davis on Married Single Other". Retrieved 28 September 2018. ^ "No. 56797". The London Gazette (Supplement). 31 December 2002. p. 10. ^ "Comic to get honorary doctorate". BBC News. 3 June 2004. ^ "JASPER CARROTT | full Official Chart History | Official Charts Company". www.officialcharts.com. Retrieved 2018-12-09. Wikimedia Commons has media related to Jasper Carrott.